This interactive workshop series will address developing healthy self-care; for mind, body and spirit. Everyone around you benefits when you are connected to your happiest, healthiest self; even and especially when that means you do less for them. Our focus will be on overcoming our unique barriers to positive self-care and finally releasing the fears we hold about not being good enough to receive love in all its forms. 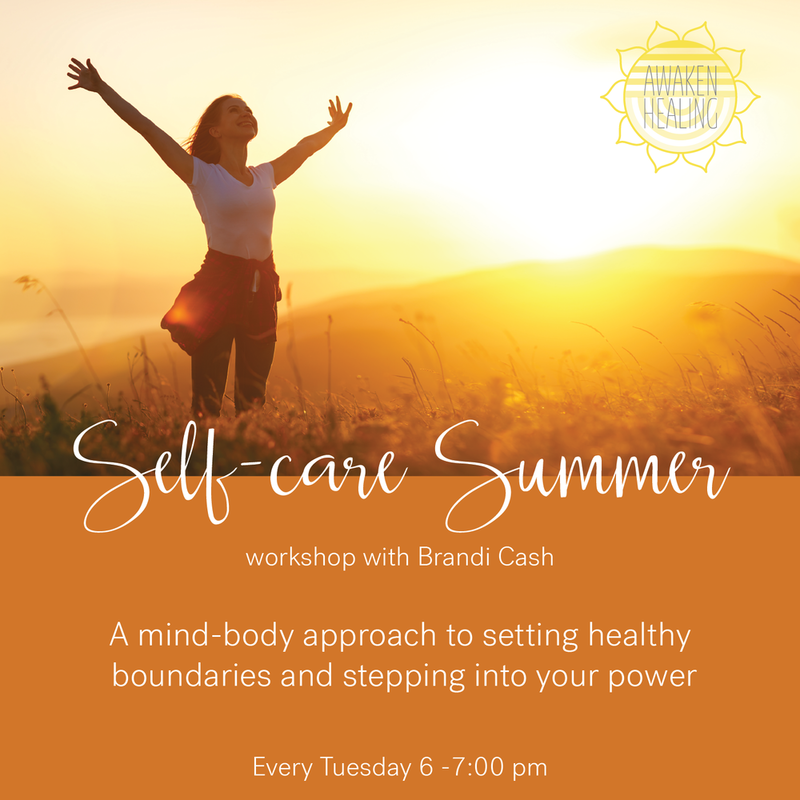 We will incorporate where and how the body holds unhealthy boundaries, low self-worth, or difficulty receiving and learn tools to shift those areas into balance. We will use holistic approaches to finding and feeding our best selves to the (eventual) joy of all who know us. Issues in the Tissues; release generational patterns that keep you from loving yourself and others more.